Ten years after graduation, you may feel the pressure to appear as successful in life as this Avis High School Reunion ad depicts. As an advertisement for the company's line of luxury rental cars, this Ireland/Davenport print offers an amusing look at an unlikely scene. 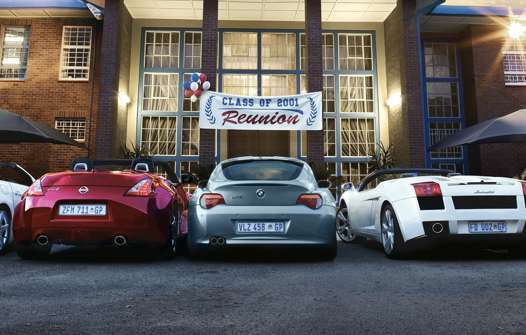 If this was a private school parking lot, perhaps one might expect to see a BMW, a Lamborghini, an Audi and a Mercedes-Benz out front, but it seems as though the Avis High School Reunion ad frames insecure minds that have thought alike and hired expensive vehicles to enhance their images.